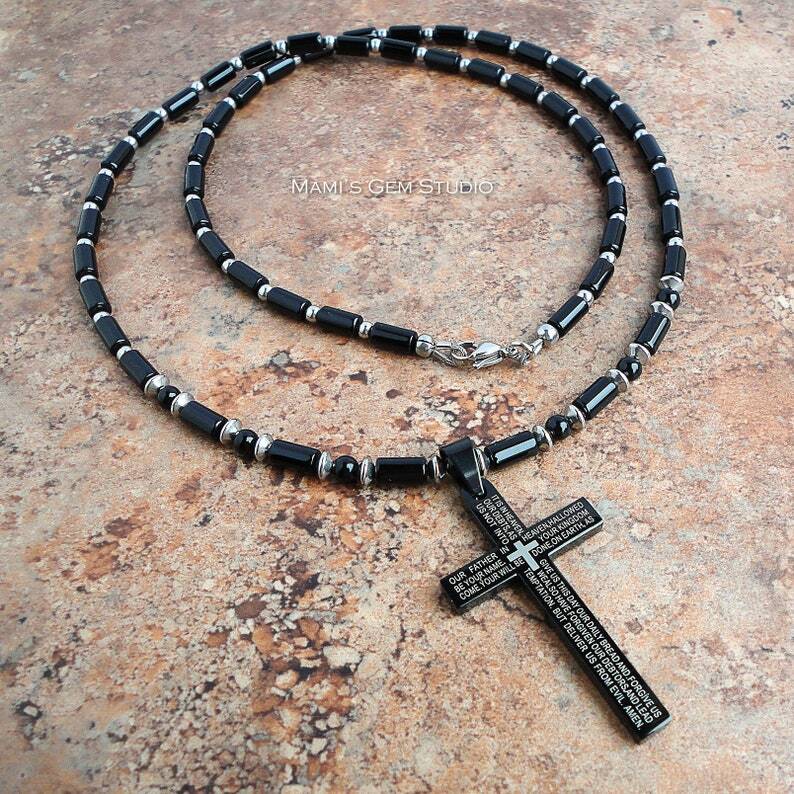 This is a very classy cross necklace that I made for men and women, featuring genuine Black Onyx gemstone well-polished cylinder beads and a high quality stainless steel prayer cross pendant. The necklace is accented with simple stainless steel spacer beads. It closes with a stainless steel lobster clasp. All metal materials are stainless steel.